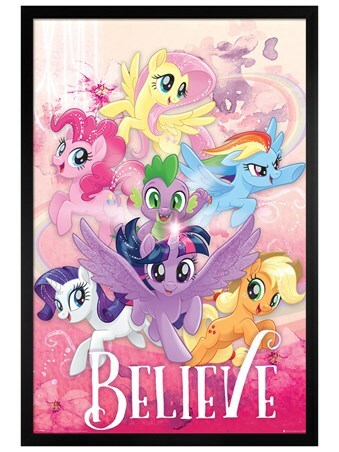 These lovable characters are inspired by the animated television series, My Little Pony: Friendship is magic. 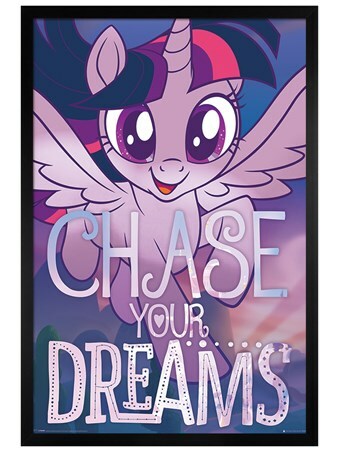 First created in 1983, by American manufacturer Hasbro, the My Little Pony franchise remains a popular choice amongst today's youth. 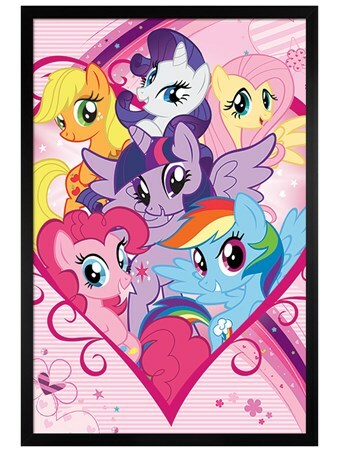 Split into four sections, this canvas features the characters Twilight Sparkle, Rainbow Dash, Fluttershy and Pinkie Pie. 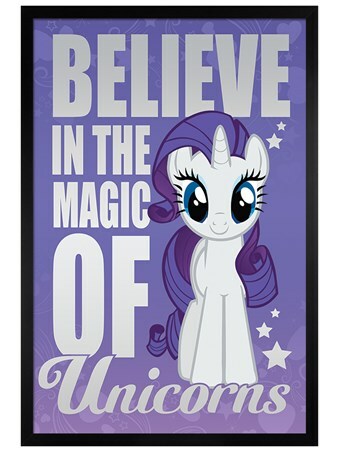 Full of bright colours, this would make the perfect addition to any little princesses room. 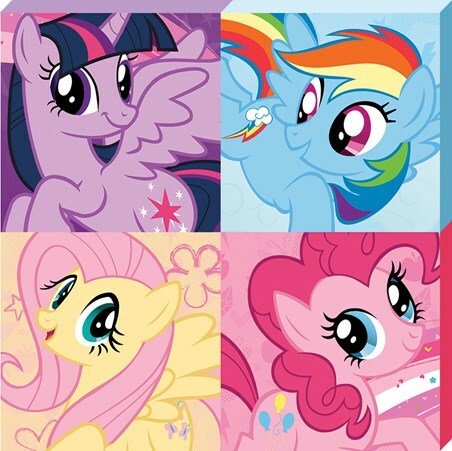 High quality, framed Four Colourful Friends, My Little Pony canvas print with a bespoke frame by our custom framing service.